for $279,900 with 3 bedrooms and 2 full baths. This 1,427 square foot home was built in 1955 on a lot size of 0.15 Acre(s). You have to see this 3 bedroom, 2 bathroom ranch style home in desirable Pasadena Estates, Bear Creek neighborhood! Kitchen is fully remodeled with stainless steel appliances, granite counter tops with breakfast bar, farmhouse sink and tiled backsplash. Recent updates include: all new exterior and interior paint, new vinyl flooring, and new sod and mulch. This property features a large fenced backyard with an 1100 square foot stone paver patio and storage shed, perfect for anyone who loves to entertain! 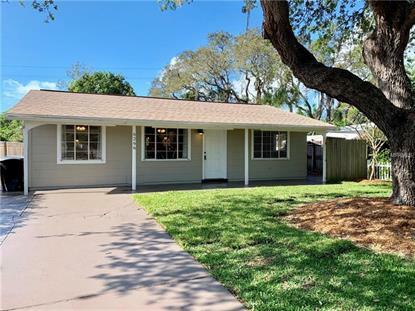 Enjoy walking out the back gate to the Pinellas Park Trail or a 5 minute drive to the most beautiful beaches in Florida.